I have most likely officially slowed down on the expected blog posts of exciting adventures while traveling in Kenya because on November 2nd we began our Independent Study Project (ISP) period! ISP is one of the reasons I chose to study abroad on this program in Kenya and we basically have one full month of no classes to pick a topic that interests us and write a kind of mini-thesis after conducting our own research in-country. I chose to stay in the city of Nairobi and do my research on the social attitudes, educational opportunities, and governmental provisions for individuals with autism in Kenya. As I started contacting autism professionals in Kenya, I’ve realized that my study could really be renamed “Autism in Kenya” because looking at those three areas is basically the entirety of the disability in the country (what have I gotten myself into??). The cultural barriers to finding accurate information have definitely been challenging but after my internship this summer with the Global Autism Project, it is helpful to already have a connection with a school in Kenya working with children with autism. I think I have probably tracked down everyone who knows what autism is and is attempting to treat it in the city of Nairobi and have a full schedule of meetings for the next two weeks to find out everything I can. This Saturday I went to a meeting of Autism Awareness Kenya, an organization created by teachers and parents to increase awareness, tolerance, and programs for children with autism. Not only do the parents and teachers want to meet with me to talk about their experiences but when the director of the group sent around my contact info, I woke up this morning to multiple phone calls and messages asking when I was available to talk to them about my research. I do worry that the scope of my project is a bit too big to complete in the next three weeks but I am definitely going to give it my best shot. I could really use a few more months here to have everything organized and ready but 2 more weeks of interviews and 1 week to write up my work will have to work. I am really enjoying living on my own in Nairobi! I am in an apartment with 5 other girls and we didn’t move very far from where our school and home stays were located before ISP began. I am getting to know Nairobi really well and am finally able to navigate the city using matatus, the main form of public transportation here, without getting too lost. 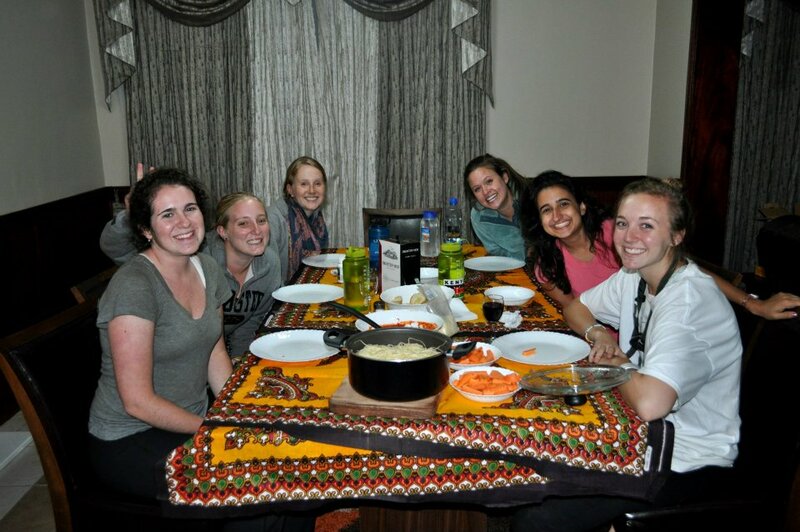 Cooking for ourselves and watching movies after long days of research are also really awesome and “Nairobi Nightlife” has taken on a whole new meeting for us at Marakwet Garden apartments (we aren’t advised to go out in the city because of Al-Shabaab threats and Kenya’s current situation with Somalia). I am LOVING it here and can definitely say I’ve adjusted to life in Nairobi. It goes without saying that I’m already used to having reliable internet, running water, and a flushing toilet by now. That being said, there are definitely things I am missing like autumn leaves and planning for an American Thanksgiving with my family. This has been one of the best and most rewarding decisions I’ve made about my studies but I can safely say that on December 10th I will be excited to board the plane and head back home to New York. I have seen so many things and met such great people that I know all of it will stick with me for a very long time and I can’t wait to share it all with everyone back home. My next post will probably be about our Thanksgiving in Kenya adventure so wish me luck on that one! 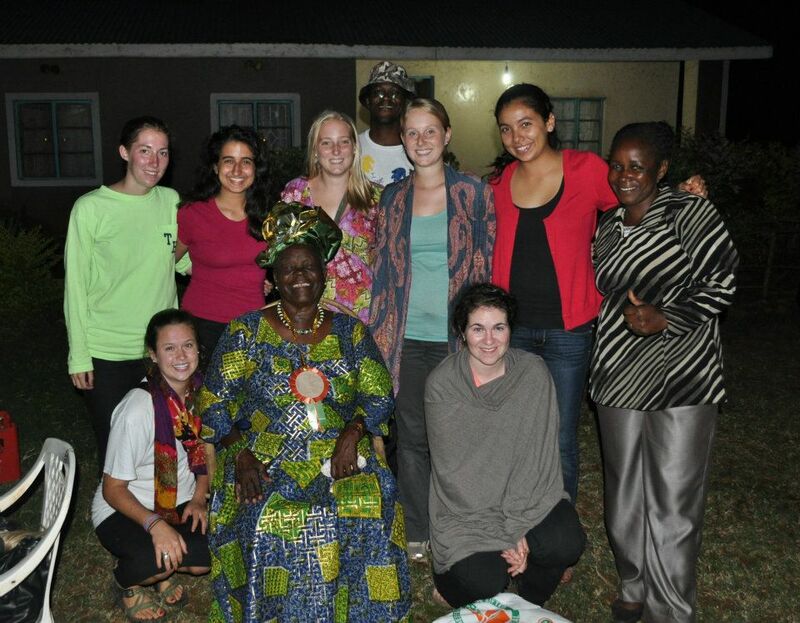 Almost one week ago I returned from my program’s Educational Tour in Tanzania. I daresay this was the most scheduled week of our entire trip here and everyday we had a TON of activities to do and a lot of new things to explore. I am going to attempt to outline each day and include LOTS of pictures to help out. The more time I spend here and as my Skypes and phone calls to friends and family back home increase, I realize it’s really hard to articulate all of my experiences but here goes nothing! *My camera died a week or so ago so just a photo credit shout out to Megan Kennedy and Kelsey Burke for the photos in this post. We arrived at the UAACC (United African Alliance Community Center) which served as a kind of home base for our program while we were away from Kenya and met Pete O’Neil, an exiled Black Panther who took refuge in Tanzania. He was arrested during the civil rights movement essentially for being a member of the party and has been living in Africa for the past 41 years of so. He started UAACC to help the community and give back and currently they have a children’s home, teach English classes and have some resources for local artists and musicians. His story was really incredible and it was interesting to meet someone who was a part of that time in history. He is technically not able to return to the States but he seems really content with the life and community he’s made in Tanzania and that was awesome to see. 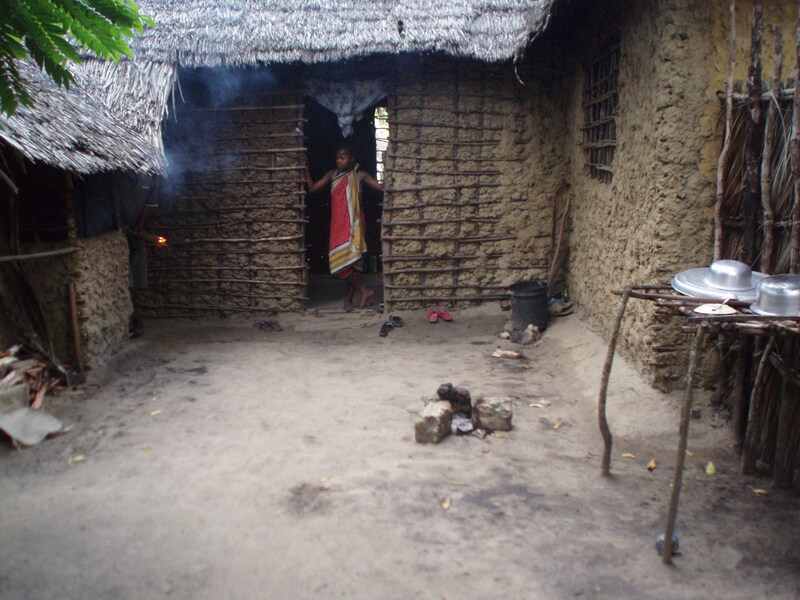 On Monday we moved to a more rural section of Tanzania to live with a traditional Maasai community. Leaving UAACC we were prepared to be sleeping in tents and not showering for the next 4 days but I don’t think any of us expected to be SO DIRTY after just one day there. The area is covered in volcanic ash instead of soil or grass and the dust really got everywhere. After day one it was actually kind of fun to just be grimy and dusty so my concept of what dirty is has definitely been altered. Monday night we got to have a campfire at our camp site and ask Maasai elders a bunch of questions about the traditions and customs in their communities and they even asked some questions of us. I found it really hard to wrap my mind around the reality of that village and can’t imagine that being “real life” for anyone but it definitely is. Completely blew my mind. Tuesday was another eventful day and consisted of a traditional goat sacrifice with the Maasai men and bead work with the Maasai women. The goat sacrifice was something that really struck me as a more ritualistic tradition and we were required to gather special leaves to lay the goat on, particular wood and donkey poop to start the fire with (it was my job to gather the wood and poop…), and an interesting soup cooking with organs like the heart and lungs that the Maasai believe to have medicinal qualities. I was brave and took part in the traditional drinking of the goat’s blood. One of our academic advisors told us that maasai need to drink the blood during dry season to survive because otherwise there are few sources of foods with such high iron content. 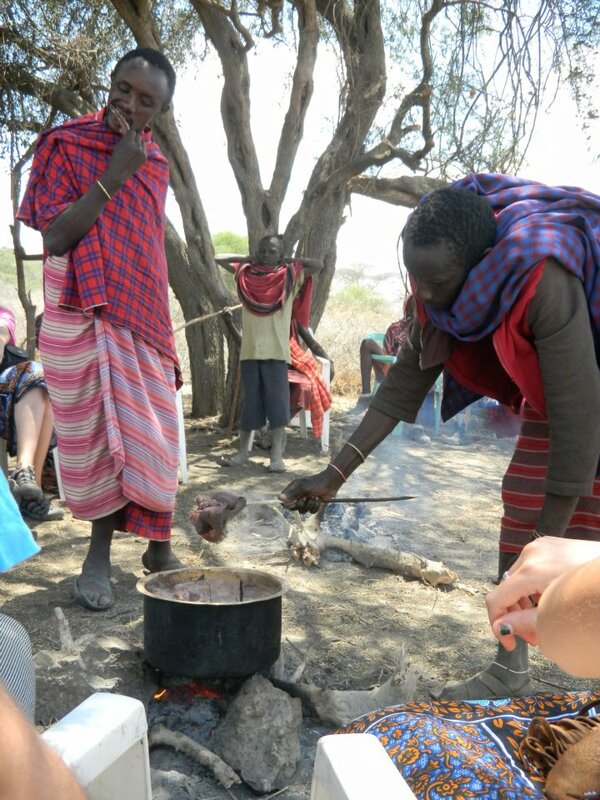 Making medicinal soup or "dawa"
Later that day we got to bead bracelets with Maasai women which was much more my thing. 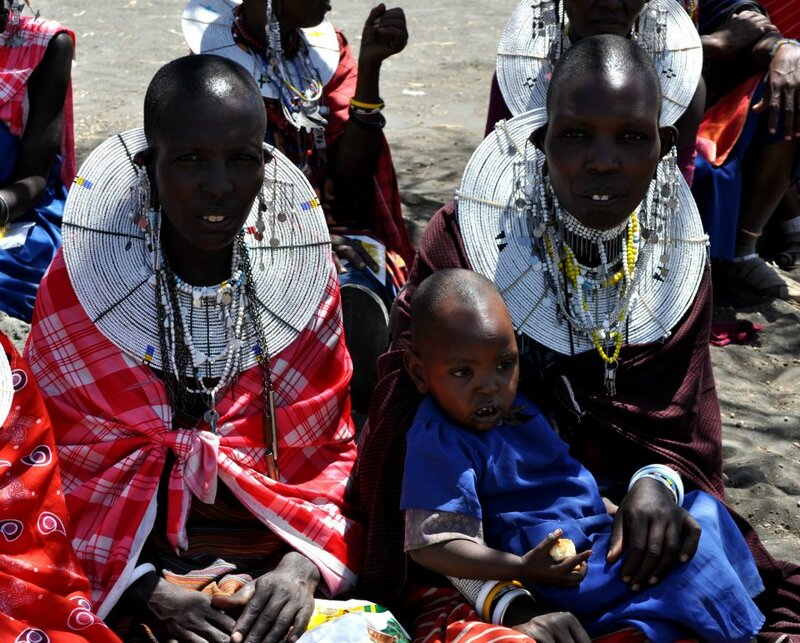 The different Maasai tribes choose particular colors to represent their age group and time of year and wear A LOT of jewelry all the time. We were just taught to make single stranded bracelets and they were burned onto our wrists so I get to keep them on all the time. The bracelet I chose to make is mostly blue which represents the rains. On Wednesday we left the Maasai village and moved to another campsite to visit on of the last groups of remaining hunter-gatherers in the WORLD. 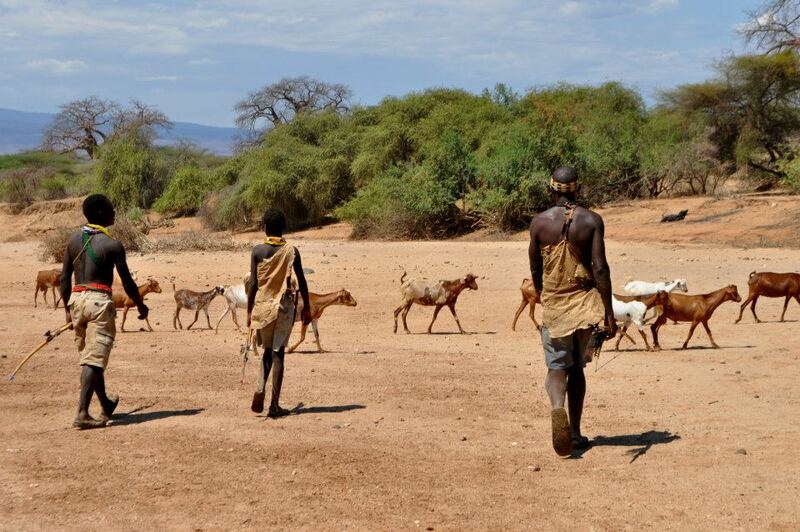 It was interesting to note that groups like the Maasai and the hunter-gatherers who are very set in their traditional ways are not somewhat reliant on tourism to sustain their way of life and this struck me as an odd way of maintaining tradition. Regardless, it was really fun to see how the women gather roots to eat and learn how to shoot a homemade bow and arrow to hunt animals. 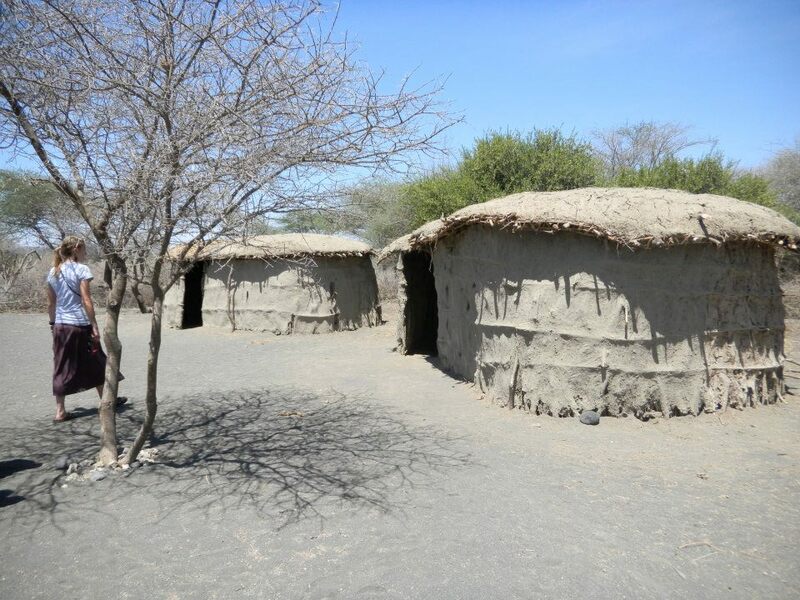 The area they lived in was SO hot and dry and it was crazy to think of them moving from place to place and living in small temporary huts. We surprisingly got to stay at a campsite with a shower after this visit so the hot water was an amazing treat after days of caked on dust, dirt and sweat began to settle. I’ve never felt so good after a shower before. Seriously. 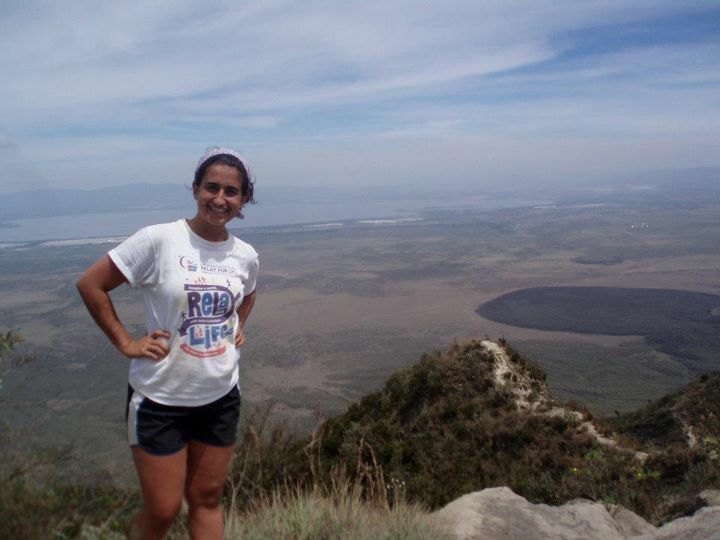 I think that Thursday was my most favorite day of the entire trip because we got to go on SAFARI in Ngorongoro Crater. It is supposedly the area of Tanzania that the Lion King is based off of and the pure magnitude of the crater was incredible. We got to drive around in safari vans with the tops up inside the crater and just spend the day looking for animals and enjoying the scenery. We saw wildebeest, warthogs, ELEPHANTS, giraffes, flamingos, zebras, antelope, a lioness, and some really cool birds throughout the course of the day. It was also a great chance to bond with the 6 other people in my safari van because literally drove around together in that van for an entire two days between the village visit and the day on safari. We spent Friday morning visiting the International Criminal Tribunal for Rwanda to attempt to bring justice to the people of Rwanda after the genocide that occurred in the 90’s. The trial going on that day was closed to the public but it was really interesting to tour the facility and speak to someone who works at the court about the procedures involved and the progress that has been made so far. After that we visited a Mental Health clinic that was set up in Arusha and then set out to get some shopping done! From the pictures you can see that Maasai wear these really cool printed blankets and I wanted to buy a bunch for myself and to give as gifts but while we were shopping it suddenly started POURING rain and we actually were caught in a flash flood situation. Instead of shopping we waded through the street turned river to safely take refuge in our bus (no worries…I bought the blankets later on 🙂 ). We moved back to UAACC Friday night and left very early on Saturday morning to climb Mt. 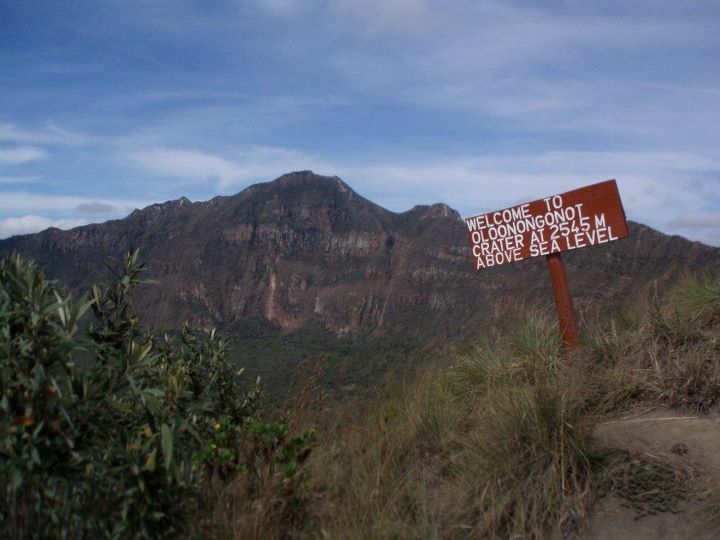 Kilimanjaro to the first base came at 9,000ft. I was expecting the hike to be just like the one I did about a month ago on Mt. Longonot where it was very sandy and windy the whole way up but Kilimanjaro was almost like a rainforest with greenery everywhere and very humid air. It was a welcomed surprise to see some green after so much desert and sand. I loved the hike but the only downside was the fog was so thick at base camp that we didn’t get much of a view. Regardless, it is awesome to be able to say I was on Kilimanjaro and maybe someday I’ll actually go back and hike the whole thing! That night at UAACC we had a wine tasting party in honor of Helen’s and Grace’s 21st birthdays and it was great to have a little dance party with everyone on the program and Mzee Pete. 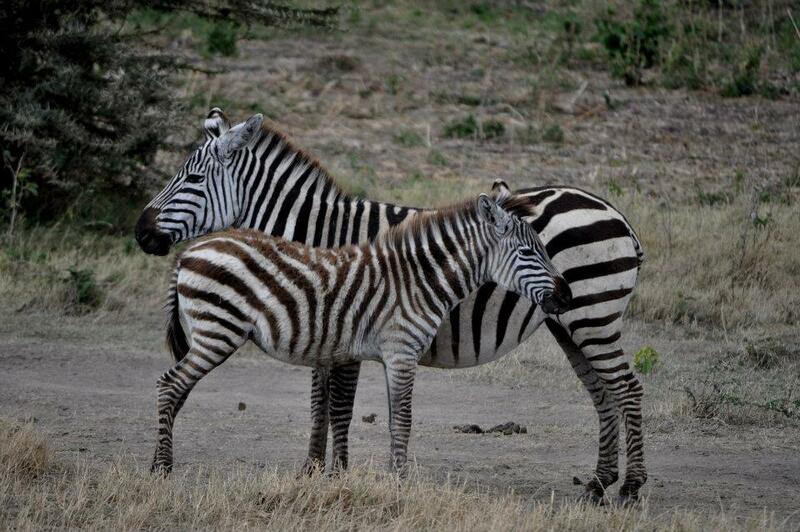 A great way to end our stay in Tanzania. Sunday we got on our bus in the morning and headed back to Nairobi on a very sleepy bus ride. It is so nice to be back and we just started our independent study period where all I basically have to do is set up a research project and write it up by December 2nd! I am continuing my internship work from this past summer and writing my paper on autism in Kenya and will hopefully get to look at the social awareness, educational opportunities, and governmental provisions for individuals with autism in Kenya (fingers crossed!). I decided to do my study in Nairobi and moved into an apartment yesterday with five great friends. The place is really beautiful and palatial compared to the houses we were living in in our homestay but I am enjoying the bit of luxury for now. I will definitely miss my host sisters but having my own space is a very nice change. I’ll post some pictures of the apartment soon! Wish me luck! We left Sam’s house at around 6am (it was supposed to be 5:30am but Africa time is never dependable) and took off in our own private matatu van with the 6 of us and Sam’s host mom, Mama Rose. After 7 hours in the van and a ton of Kindle reading, we got to Kisumu and headed for Obama’s father’s village! His dad died BUT his grandfather’s co-wife (not Obama’s actual grandmother but in African culture she basically is) is still living in the village and definitely loving all of the publicity and attention that comes with almost being Obama’s fake grandmother. We got there around 5pm (an hour after visiting hours ended), had our passports glanced at by “security,” bonded with Obama’s half cousin?, and waited 2 hours for Grandma Obama to get back from a fundraiser but WE MET HER for about 5 minutes and it was wonderful. That night we stayed with some of Mama Rose’s friends (or relatives, I’m not certain) and made friends with the most hyperactive two year old I’ve ever met. Always an adventure. 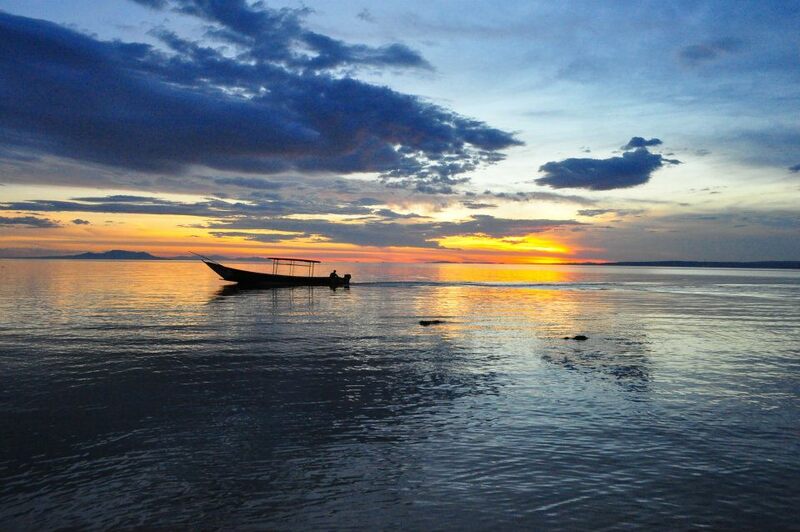 Sunday we set out with the mission of seeing the sunset over Lake Victoria and basically structured our day around that. By the time we ate breakfast and got washed (both essential components of the morning routine…especially the eating part) there wasn’t much time to do things other than drive the 2 hours into the center of Kisumu, eat lunch, and head out to the lake. While we didn’t get to spend much time in the city of Kisumu itself, I am perfectly alright with that because we got to see the beautiful area around the lake and take out a boat to see HIPPOS! They are totally awesome. The sunset was also amazing and the scenery was incredible. We ventured back into Kisumu and went to a small version of the Museum of Natural History and saw some cool snakes and turtles before we began our drive back to Nairobi. 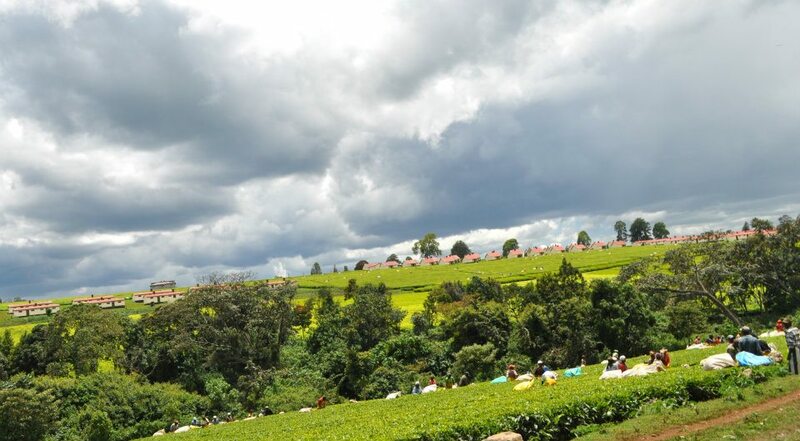 Other than Lake Victoria, I honestly think the scenery on the drive back was my favorite part of this weekend and it convinced me to pitch a tent on the mountainsides of the tea producing area and live there forever. I don’t have a picture that does the mountains justice but the intense green color of the tea fields was really amazing. 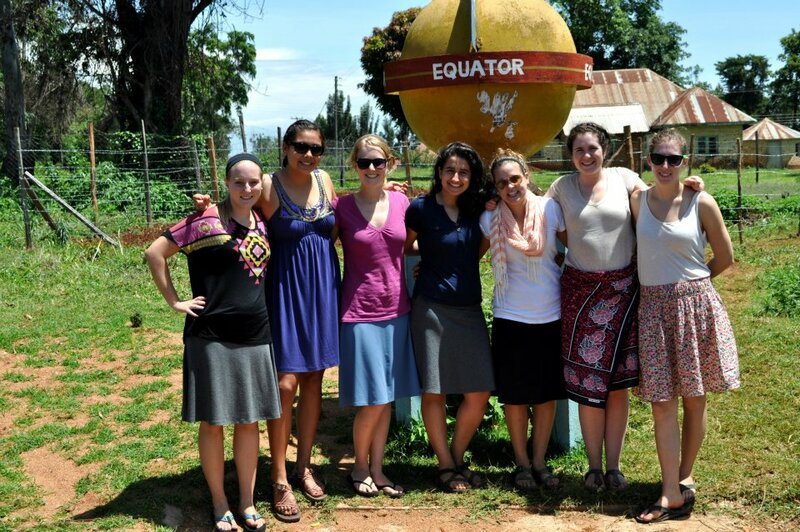 We also go to pass over the equator! So I momentarily returned to the Northern Hemisphere 🙂 It felt like home. It was an awesome weekend with great new friends and I can’t wait until next week! I am headed to Tanzania for the last big organized program excursion. 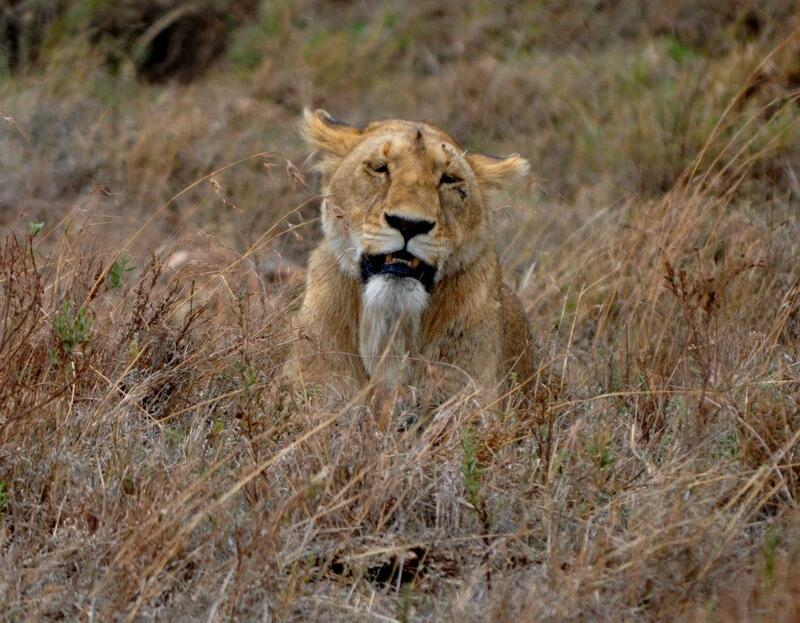 As a preview, I get to live with Maasai, go on a game drive and climb some of Mt. 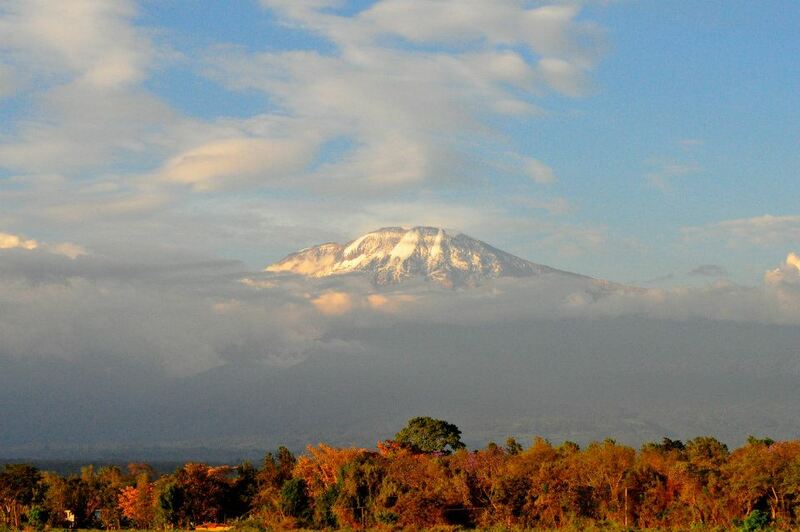 Kilimanjaro! I will be sure to take a lot of photos and put up a big post when I return. I will have to keep this update short because I have my Kiswahili final exam tomorrow (AHHH) and I desperately need to study but I couldn’t hold off on this one. We had one of our very rare completely free weekends and yesterday 11 of us went to Mt. 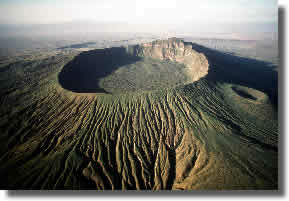 Longonot, an awesome inactive volcano about 2 hours outside of Nairobi. The whole thing was about 11km and let me tell you, it was a great hike. The landscape definitely made it a challenge due to the very sandy and gravel covered paths but it was worth it. Hiking in a circle was a bit disorienting but it was fun to be able to see all the way around the edges. Here are some pictures!! 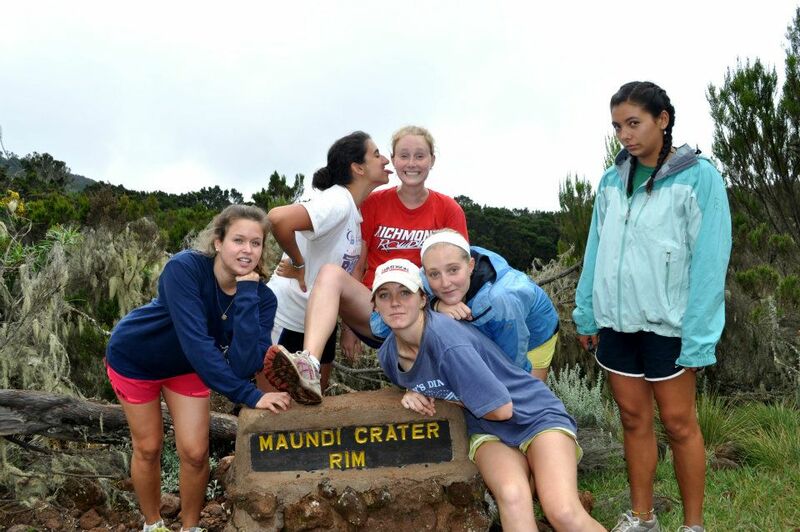 This is a picture of the crater I found online. In the background of this picture you can see the highest peaks and the most challenging part of the hike. Tonight we are celebrating the third birthday in our group this week but due to some kind of threat to Westlands (the area of Nairobi we usually go to for celebrations along with all the other white people in Nairobi) we are going to stay local and just enjoy dinner out. Super excited! Vegetables aren’t a regular thing in my Nairobi home stay so I jump at the chance to get some at restaurants. Not having electricity was kind of a nice feeling. I got to disconnect from my e-mail for a while and not have to worry about getting any schoolwork done. 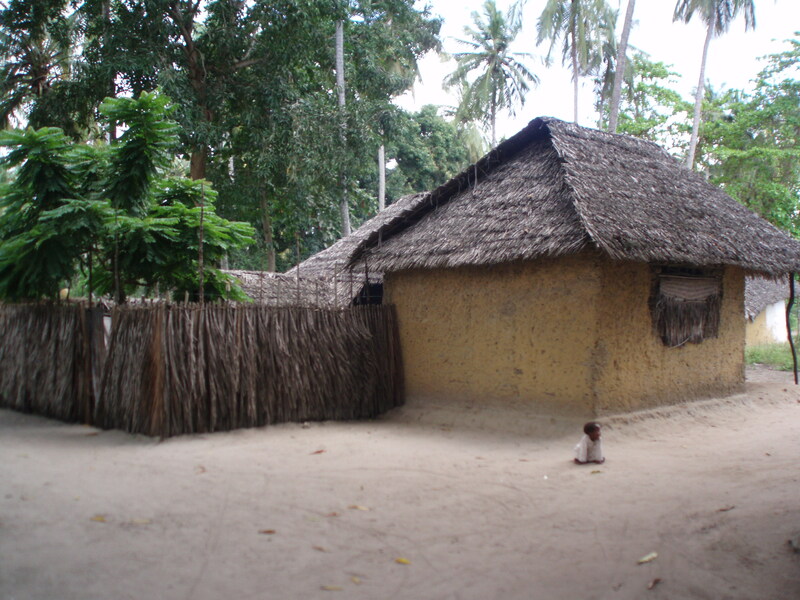 I was in the village to have an experience and practice my Swahili, which is exactly what I did. Zero light pollution was also incredible at night for looking at stars. 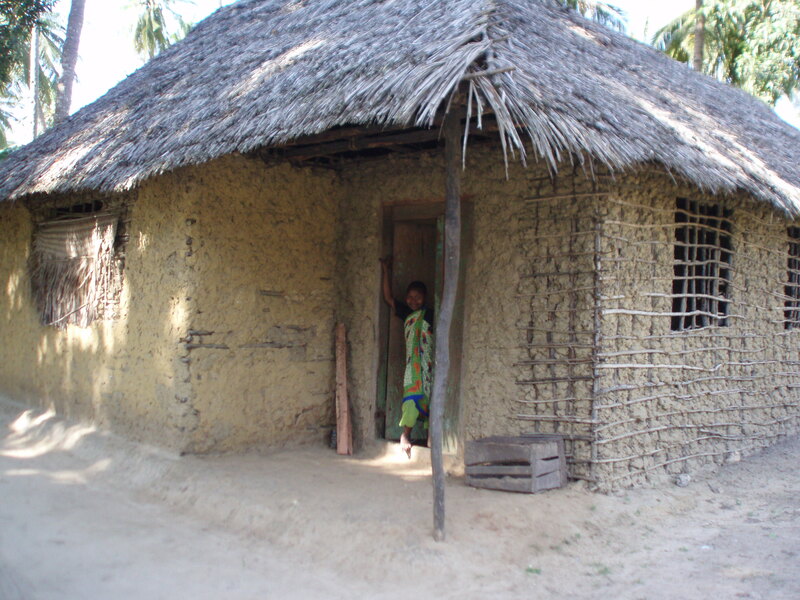 After leaving the village we got to stay in Mombasa for the past 5 days before returning to our Nairobi homestay. I have to say that Mombasa was the most fun I have had so far in Kenya. We got to live in a hostel adjacent to the SIT Mombasa office (my program has another site in Mombasa that we used while those students were away as well) and exploring a new city and very new cultural dynamic in Kenya was awesome. My favorite part was probably the shopping and I loaded up on more Kanga fabric and other awesome crafts than I know what to do with (don’t want to give away any of the great gifts I was able to find for family and friends while I was there :)). Transportation in Mombasa was also much easier than in Nairobi which was definitely helped by how much safer and smaller the city is. Everything is closer together and it is safe to venture out at night on foot, unlike in Nairobi. 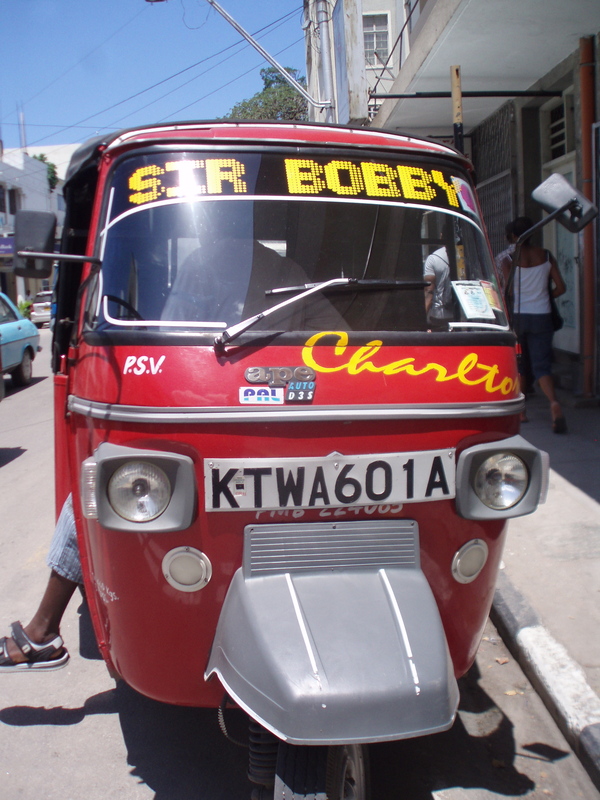 The main form of transportation, in addition to the infamous Kenyan matatu, is a tuk tuk. They are really hard to describe if you have never seen one but it is just like a mini car on three wheels with a reckless driver willing to take you wherever you want for 100 Shillings ($1). I wish they had these in Nairobi but no such luck. I am on my own for lunch and usually order from this house next door that has really good Indian-type food like samosa, curry, and chapati. But lately I have been really into roasted corn that street vendors sell for around 30 Shillings (30 cents USD). That is probably the best thing about Kenya. The most expensive lunch I have had here so far was at a coffee shop called Java House where all the wazungu (white people) hang out and get internet. Lunch there is about 500 Shillings or $5 USD. 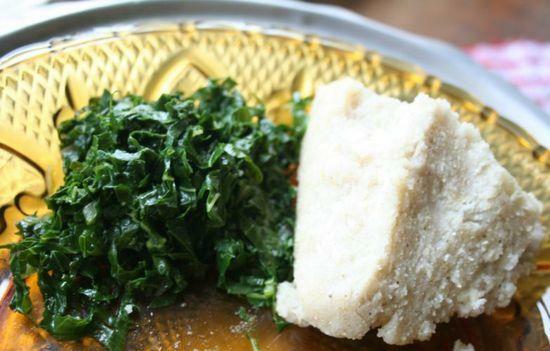 While Ugali is one of my least favorite things about Kenya and I have basically become a vegetarian by choice while living here, there is a lot of variety for lunch and dinner when I get to eat on my own. Last night I had a great dinner with Doug, the only other person I know in Kenya reppin’ Tufts, at an Egyptian restaurant. The food was amazing and dinner was only $3.30. My breakfasts always consist of either Kenyan bread or biscuits with chai and sometimes fruit. Kenyan chai is GREAT and they have held onto tea time from the British for sure. Their tea is boiled milk and water mixed together with a big spoon of sugar (that I usually leave out…I miss my black tea). 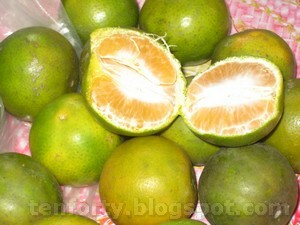 The fruits here are a bit different from home but they have these great sour oranges that I try to eat often. I have to say thought that my favorite breakfast (although unhealthy and hard to come by) are homemade mandazi that my mom sometimes makes for us. They are like little triangular donuts that are so yummy. I won’t have internet and most likely no cell service until October 1st when I return for the coast. Honestly, that’s fine with me. 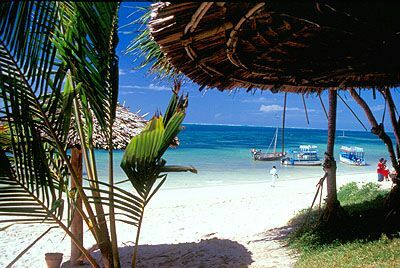 I am very ready for a few weeks near the beach and away from Nairobi. 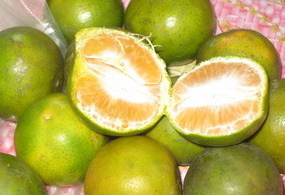 Kwaheri! I decided that dedicating a post to the end of my week is very necessary considering all of the things I saw in such a short amount of time. On Friday morning instead of our usual 4 hours of Swahili, Our entire group went to visit Shining Hope for Communities (SHOFCO) and the Kibera School for Girls, located in the Kibera slum, the largest slum in Africa. We took our big blue bus and unloaded right in front of a very clear entrance to the slum and met Jess Posner, the founder and CEO of SHOFCO. Walking through the slum to get to the school I didn’t quite realize the magnitude of the area until I got to a small hill where I could see just how far the corrugated metal homes extended. It was something I was pretty unprepared to see and I can’t quite wrap my mind around how one million Kenyans live in homes like those. All of us had on sneakers or walking shoes and we passed hundreds of little kids without any shoes and only smiles on their faces. They were definitely excited to see so many wazungu (white people) and repeated “How are you? ?” over and over. 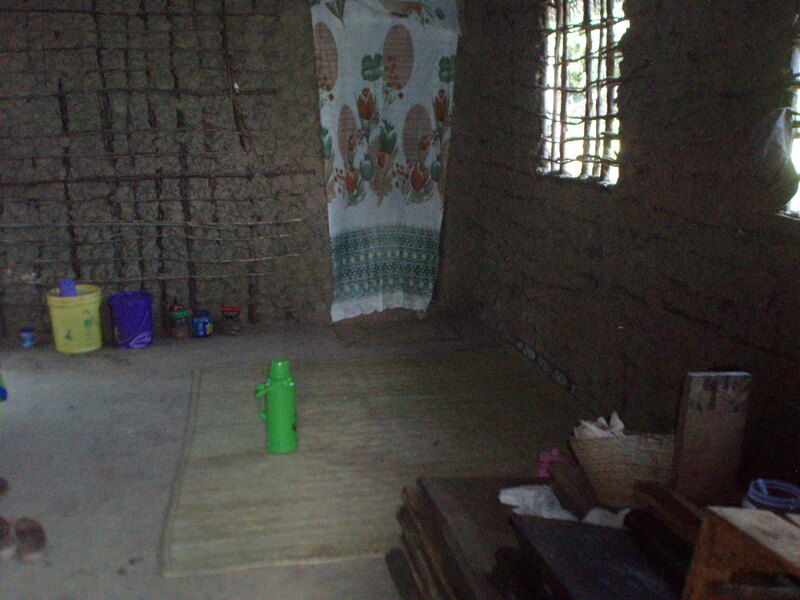 We got to the Kibera School and I was amazed at how much they had done with such little space. The school currently has 64 girls enrolled from preschool through second grade and will enroll a new grade each year until they reach their maximum capacity. The goal is to follow the girls until eighth grade and help them enroll in secondary school, a rarity for African girls, especially in Kibera. Investing in girls within the community is not usually emphasized but will have enormous benefits for the community as a whole. They also have a clinic with medical supplies and testing capabilities as well as a community library, a biolatrine to turn waste into energy and a community toilet program throughout Kibera. I know these are only a few of their project so you should definitely go to their website and look at all of the work they are doing. We got to see the girls perform their school poem about empowerment and how education will make a difference and honestly, I teared up. It really made me think of how lucky I am to have an education and how grateful these girls are for the small school building and a primary school education. 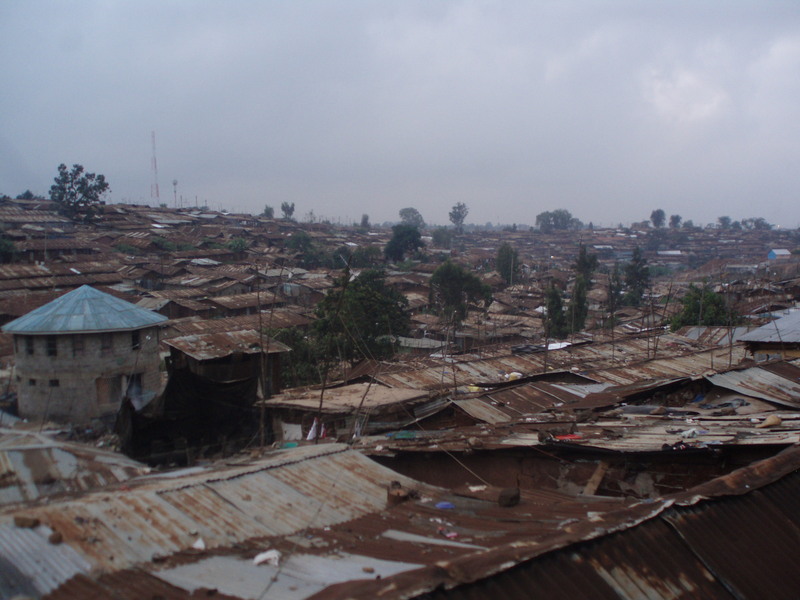 I didn’t feel comfortable taking too many pictures within the slum because you can really see directly into people’s homes but here is one picture of Kibera that helps to show the size and living conditions there. Saturday was another trip for our group to a different slum, this one called Mathare and a bit farther from where we are staying within Nairobi. While smaller than Kibera, we walked straight through the community and it definitely felt larger and more treacherous than Kibera had. The area had various streams running through them and I was unsure whether they were natural or man-made considering the amount of waste and garbage flowing through the area. It had also just recently rained and all of the unpaved pathways turned to mud. We visited the Mathare Youth Sports Association (MYSA) that not only set up a soccer program for the youth in Mathare but also runs community clean-ups, community outreach to educate people about hygiene, HIV and other important issues as well as a free library system that seems to really make an impact on the community. The work done here was very inspiring but being back in my suburban home that Saturday night getting ready to out downtown struck me with a lot of force. Sometimes I feel like I am back in America, sitting on a couch in a living room reading a book or studying Swahili. I spent my Sunday in a cafe writing a paper and drinking an iced coffee. 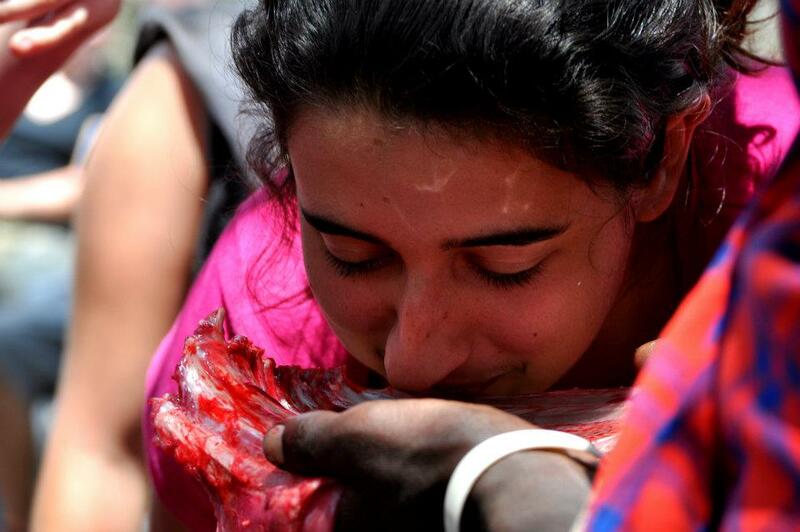 But other times like this weekend, the reality of places like Kibera are really unavoidable. I definitely didn’t want this post to be a downer but it was such an important experience to me that I thought I should post something. Overall, I’m really happy I got to go to to these places and talk to people about the work they are doing to improve the lives of so many adults and children and it is definitely an experience I will hold on to. You should all check out the links of the organizations I mentioned! They are run by some great people. 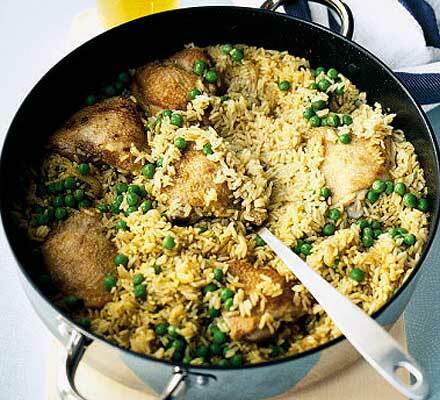 Next I think I will post something about Kenyan food. It has definitely been an interesting daily adventure…I head to Mombasa on Friday night so hopefully I’ll get another post in before then!